The Rock It table is the lowest quality table made by the Shelti manufacturer. The table has more of a European table design without the thick cabinet like American tables so it tends to shift around during heavy play. This can be a hassle when trying to keep the foosball table level. 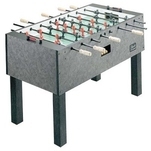 The Rock It also has many other foosball table features we don't typically recommend: plastic handles, spring bumpers instead of the traditional rubber, and a single goalie design. 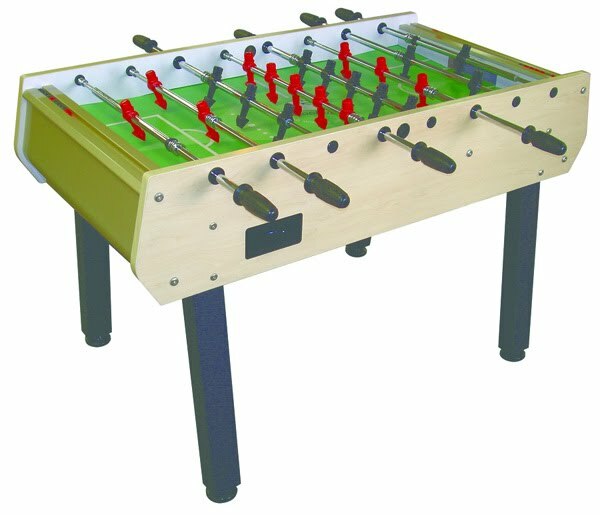 We recommend spending a little bit more money and taking a look at the Tornado foosball tables we have reviewed.